Beverly Hills Plastic Surgery Group conducts our specialized procedures and surgeries in our fully-equipped, state-of-the-art operating room at the newly built Stitch Surgery Center. The brand new and cutting edge surgical facility is tailored to ensure the best care in the safest and most comfortable setting. The AAAHC certificate of accreditation is a sign that a health care organization meets or exceeds nationally-recognized Standards. 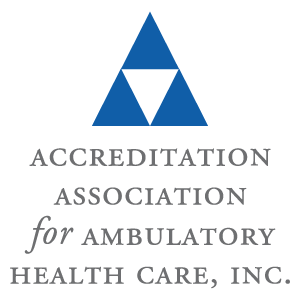 The Accreditation Association for Ambulatory Health Care is an important organization that gauges and recognizes surgical operating environments that religiously perform and function at the very highest standards of care. We hold outpatient and office-based facilities to hospital standards. Dr. Danielpour and Dr. Layke are board certified surgeons and have hospital privileges for any procedure that is performed in a surgical facility. 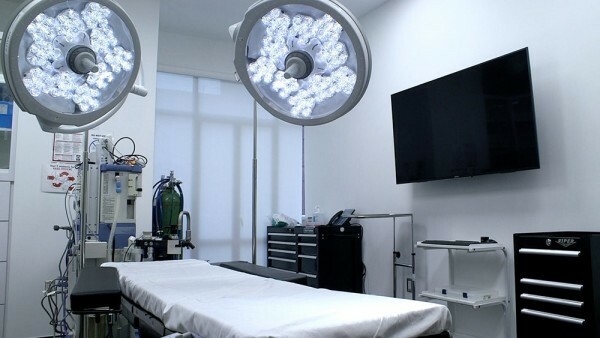 We employ and utilize the safest surgical environment, from the equipment to the prescribed medication, all through specified standards in our brand new technologically advanced surgical facilities. We are upstanding in peer review and adhere to HIPAA privacy regulations. We champion and put forth efforts and resources towards patient safety awareness in our facilities and our industry. We use cutting edge technology and practices in our surgical center and practice advanced methods. All of our surgical procedures are done conservatively, with the smallest incision possible, leaving the minimum amount of scarring. We also utilize the Embrace Scar Therapy system to provide our patients with the best results while undergoing minimal scarring. We also use Exparel, a long-acting pain relief medicine, at the time of surgery to alleviate immediate post-operative pain. Our surgical center also features Vectra 3D imaging for body and face scanning, to project the results of your prospective surgery, to give you a visual representation of what is possible at Beverly Hills Plastic Surgery Group. This technology is a must at any reputable aesthetic practice in today’s scientific climate. High resolution, high-performance 3D imaging assures photorealism, securing the finest details in a crystal clear image.